In the process of mourning, White Clover and Red Clover came to me. These low-lying legumes were a big part of my childhood explorations; I spent many hours outdoors lying in patches of three-lobed leaves and fragrant white flowers, and eating the pink petals of the larger red species. Spring was always marked by the arrival of the first clover buds, and throughout the summer I would silently cheer any time the flowers got high enough to be made into necklaces before the lawn would get mowed again. My favorite hiding places were where the clover and other plants were allowed to grow high and thick, instead of being cultivated into submission as with most of the neighborhood. 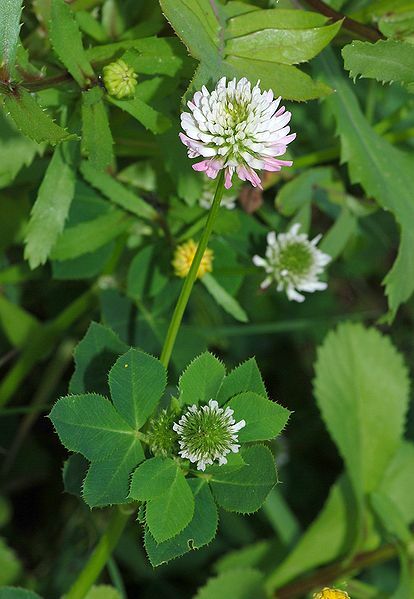 As I grew older, and eventually moved to several places around the country, I always found clover–white more often than red, but both of them still made strong showings. And they were persistent. Even when I lived in paved-over old industrial areas of Pittsburgh where bricks and old run-down buildings were common, clover stubbornly populated open lots and little scrubby patches by the sidewalks. Here in Portland I see a lot of white clover, to include places where organic urban gardeners plant it as a cover crop. Red is more rare, but I’ve seen it on occasion, often on the edges of parking lots and other hardscrabble places. And as I have mourned my loss, White and Red Clover reminded me of all the times I’ve seen them over the years and how that’s helped me to maintain the connection to my childhood wonder at the world. I realized that although I’ve lost a specific place dear to me, I never lost the connections that were formed there. I’ve taken these connections much further, too, out of suburban lawns and into empty lots in cities, and the wide open territory of the Columbia River Gorge. I’ve gone from a tiny little creek trickling through my second patch of woods, to the rivers the bridges in Portland cross over–and to the Pacific Ocean itself. I am not lost. I am still here. Wherever there is clover, there is also the connection I grew up with. I do not need to feel connected only to the patches of clover in a yard I no longer have permission to enter, or in a field that no longer exists. I also have the clover in the neighbor’s yard that I walk by several times a week, and odd patches here and there throughout Portland. And just as I carry the lessons taught by family members many years deceased, so do I carry what I learned from White and Red Clover, and Periwinkle, and Black Poplar, and Eastern Red Cedar, and White Oak, and so many others through their physical counterparts as I went from a seedling to a sapling to a fine young tree myself. These still stand out to me, so many years later, as a collective of plants and their totems who were so incredibly influential. Some of their children are now dead, victims of the destruction of one place. But thankfully the species and the totems live on, and no one can take that from me. 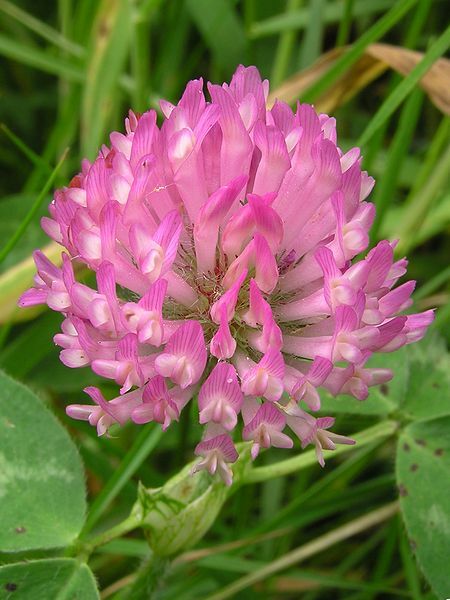 And given that neither White nor Red Clover are native to the United States, their ubiquitous presence helps me to feel at home where I might otherwise feel rootless. Similarly to Douglas Fir, the Clovers have helped me to be as flexible and adaptable as they are in a new place, particularly as I was not even born on this soil. Part of that grounding does come from reminding me of my roots, and teaching me to set them down wherever I go. If they can bloom where they’re planted, so can I.
I find all this comforting. I have lost, but I am far from alone–or rootless. White and Red Clover showed me that. This entry was posted in Growth and Growing Pains, nup, Plant Totems, The Land, Totems, Unverified Personal Gnosis. Bookmark the permalink. I believe in plant totems. I have Lotus and Birch for mine, and my grandmother’s spirit took the form of an Oak after her death. I, too, am a lover of clover.